We all know what pain feels like i.e., a sharp pain from a stomach cramp, a stinging pain from a bug bite or a throbbing pain from pulling a muscle. Pain can often lead to inflammation, but what exactly is inflammation? Inflammation is the body’s natural response to protect itself from injury, infection or a foreign substance it deems dangerous. We all know what pain feels like, but what exactly is inflammation? Inflammation is the body’s natural response to protect itself from injury, infection or a foreign substance it deems dangerous. There are two types of inflammation: acute and chronic. Acute is the physical inflammation you can see from a cut or scrape and occurs when your body sends an army of white blood cells to protect the area, causing the injury to get red and inflamed. For this post; however, we will address chronic inflammation. Chronic inflammation can occur when unwanted substances enter the body (i.e. : toxic chemicals through food or the environment, cigarette smoke, parasites, bacteria, food allergies, mold, etc.) and your body is on a high-stress alert at all times trying to protect itself from these invaders. We all want a little inflammation as it's your bodies way of protecting you, but when experiencing chronic inflammation, your body is no longer able to shut off its inflammatory response and starts damaging your own healthy tissues. What can you do to reduce chronic inflammation? A LOT! Every action you take can promote health and wellbeing. For this article on inflammation, we will focus on nutrition and how your food intake can reduce inflammation in the body. Celery is a highly underestimated vegetable: Research by James Duke, Ph.D., author of The Green Pharmacy, found more than 20 anti-inflammatory compounds in celery and celery seeds. Specifically, celery has a large number of phenolic nutrients which are known to protect against oxidative stress in the body. Lowers blood pressure - Celery contains an extract called NBP, which relaxes the tissues of the artery walls to increase blood flow and reduce blood pressure. 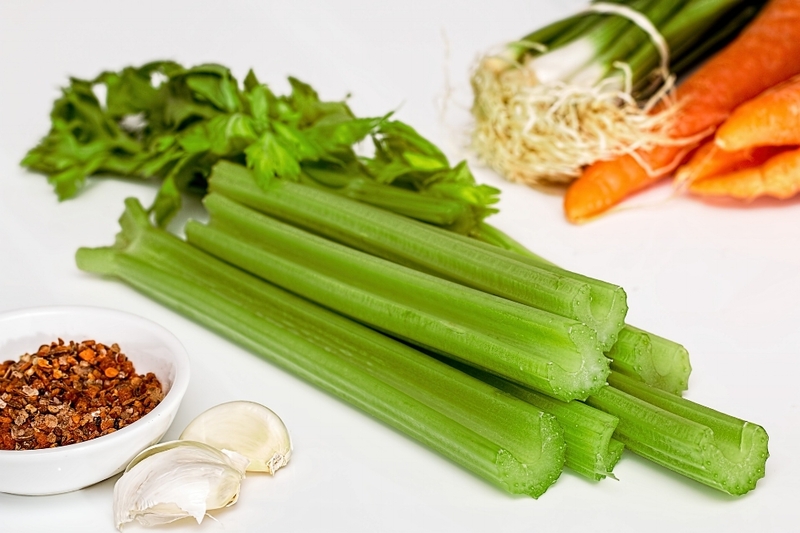 Lowers cholesterol - Researchers believe the fiber content in celery lowers LDL cholesterol levels. 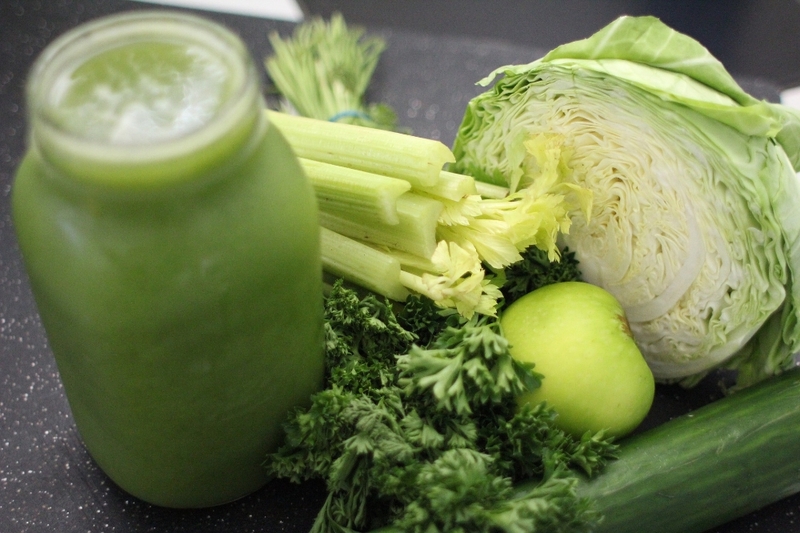 Aids in liver detoxification - Researchers from Taiwan found that when treated with celery extract, liver cells produced a liver enzyme designed to flush toxins from the body. Reduces inflammation - Celery contains a bioflavonoid, apigenin which is able to halt inflammation as effectively as anti-inflammatory drugs. Aids in digestion - The digestive benefits are partly due to its diuretic effect but celery also boosts circulation in the intestines. Helps with insomnia - Due to celery's high magnesium content, it is believed to aid with insomnia and poor sleep patterns. Add celery to soups, eat raw with nut butter and walnuts (another powerful anti-inflammatory food), chopped in salads or add to green smoothies. It’s hard to believe such a small, vibrant and unassuming fruit can be enriched with so many health benefits. Blueberries are one of the best sources of anti-oxidants. Research has even shown that a blueberry-enriched diet can reduce anxiety and neurotransmitter imbalances caused post-traumatic stress disorder. Fascinating! Promotes heart health -Blueberries have high levels of compounds that help widen arteries allowing blood to flow smoothly. Reduces inflammation - Due to blueberries high antioxidant levels it has been shown to have a large anti-inflammatory response in the body and one study revealed improved rheumatoid arthritis symptoms after including blueberry extract in their diet. Supports digestion and weight loss - 1 or 2 servings of blueberries can help meet your daily fiber intake with 3.6 grams of fiber in each cup. Boosts memory and brain health - Research shows improvement in cognitive function and memory in those with a blueberry-enriched diet. Add blueberries and cinnamon to oatmeal or cereal, top yogurt with blueberries, add to fruit and green smoothies, enjoy some flourless blueberry pancakes or just enjoy a handful of plain delicious blueberries! Turmeric is a yellow spice traditionally used in Asian cooking and has been used for centuries in ancient medicine. The active ingredient in turmeric is curcumin which is an antioxidant that has been shown to reduce chronic inflammation in muscle injuries and sprains, arthritis and has even been shown to prevent or slow cancer growth. Reduces inflammation - Turmeric's curcumin reduces inflammation naturally, without damaging the liver or kidneys. Fights cancer naturally - Turmeric is now being used as a complementary therapy with conventional cancer treatment. Eases joint pain - Studies show treatment with curcumin can successfully reduce arthritis pain and certain sports injuries. Anti-depressant - Few studies have been done on humans, but studies using laboratory animals show a improvement and reduction in depression symptoms. Add it to scrambled eggs, stir-fries, roasted vegetables, stews and soups, brew turmeric and ginger tea, add it to smoothies or enjoy my favorite Tumeric latte here. Side Note: Since curcumin is fat-soluble, consuming it with a fat-containing food or beverage helps you absorb it more effectively. Salmon is one of the best sources of the essential fatty acid Omega-3 which is responsible for heart health, skin health, balanced moods, cancer defense and even eyesight. It is considered an essential fat because our body can't make it we must get it from our diet. Having enough Omega-3's is crucial to having a healthy balance between Omega-6 fatty acid which is also essential. The problem is, most people have excess consumption of Omega-6, which can actually promote inflammation. This can be reduced by adding in more healthy Omega-3 fats so there is a nice harmonious balance between the two in the body. High in B vitamins - Salmon has a full panel of B vitamins including B12 and B6 which is crucial for overall health and wellbeing. Improved mood and brain health - Studies confirm that frequent fish eaters experience slower rates of cognitive decline as they age and more balanced moods. High in selenium - Higher selenium intake is associated with decreased joint inflammation as well as thyroid support. Reduced risk of heart disease - Eating one to two servings of fatty fish per week can reduce your risk of heart disease. Salmon fish tacos, grilled salmon fillet or kabobs, smoked salmon, sushi and canned salmon instead of tuna. Side note: it is important to purchase wild-caught non-farm raised salmon whenever possible to avoid toxic chemicals and increased mercury. Bone broth is a broth made of water simmered with seasonings, animal bones and cartilage for 10 - 20 hours. Bone broth and its healing properties and minerals date back over 2500 years but it has more recently become mainstream with the paleo diet. and it can be prepared in soups or stews or enjoyed plain. Reduce inflammation - Thanks to the inflammation-fighting amino acids in bone broth like cystine, histidine, and glycine, inflammation can be greatly reduced. Supports weight loss - Gut health has a lot to do with our ability to lose weight and an unbalanced gut can make it difficult. Because Bone broth calms and repairs and inflamed gut, it aids in weight loss and weight loss resistance. Supports gut health - Bone broth is an amazing source of L-glutamine, a building block of protein necessary for the body and gut health. Improve skin, hair and nails - The gelatin it contains improves hair, skin and nail strength and quality. There are countless articles and health benefits to adding bone broth to your diet so I have listed some good reads here and here. You can make your own and follow a simple recipe like this one or you can buy bone broth from a reputable company like Kettle and Fire. Bone broth makes a great soup or stew base, can be used to simmer vegetables or meat over the stove, or simply enjoy it plane in a mug or bowl. Bottomline, chronic inflammation is serious business. If left ignored or untreated for too long it can wreak havoc on your health and contribute to chronic disease. We have a lot of power in the food choices we make, so whenever possible, try to incorporate some superfoods that will reduce inflammation and offer countless other health benefits. Should You Eat Organic? Sometimes - and Here is Why.